What Are Column Flotation Cells? Flotation is a science that brings together many complicated variables. Factors include knowledge of mineral structure, chemicals, temperature, technical skills of the operator and dependability of the flotation cell. Read on to learn more about flotation cells, its uses and the different types of flotation cells. By: Raymond Perr P. E.
How Important is Contractor Pre-Qualification for the Coal Industry? Contractor Pre-Qualification: How Important is it? 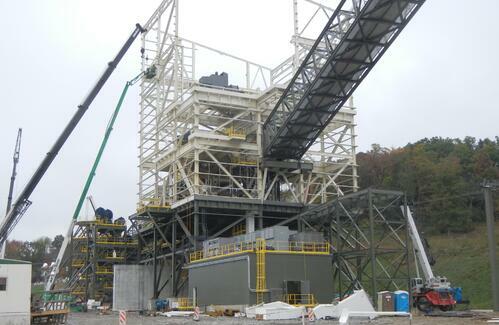 Industrial Resources designs and builds state-of-the-art coal preparation plants, such as the one pictured here for our customers in the Coal Industry. The successful delivery of capital projects in the coal industry requires a lot of different players. We tend to attribute achievements like building a preparation plant that operates cost efficiently, or a material handling system that has a high availability, to the contractor that performed the construction or their engineers.